Large-scale prisms are suspended in skylights and clearstories. 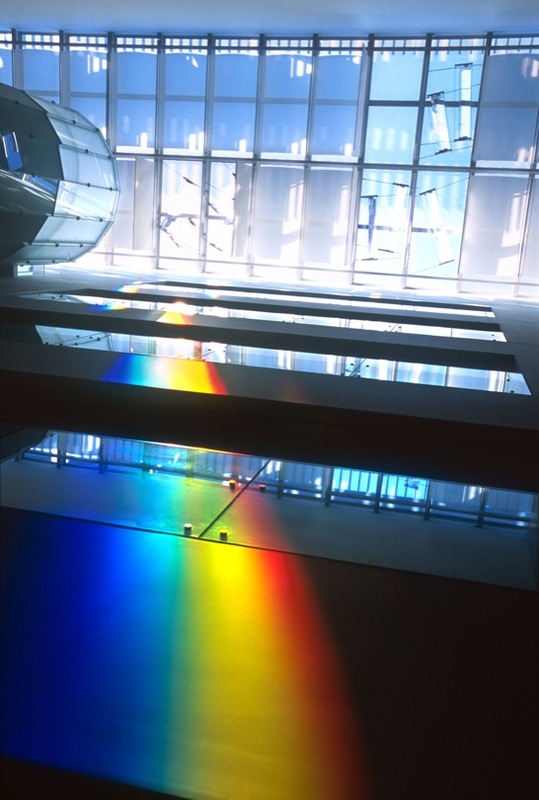 Each is specifically aligned with the sun to project huge blocks of solar spectrum into the architectural space below. The spectrums continuously evolve throughout the day, expanding into bright washes or contracting into brilliant bands of solar color as they move through the space propelled by the turning of the Earth. Each artwork is specific to the architecture and its location on the planet. The ultimate goal is to create a nexus of solar spectrum artworks around the globe so that as the spectrum sets in one location, it is always rising in another.